I love instagram, but this has been so much fun to see other bloggers display their lovely creations. I have two that I’ll be submitting, one in the modern category and one in the mini category. For the mini category, here is a fun Cotton + Steel (mostly) mini I made for a dear friend’s birthday. It is only 12″ x 12″ and contains some pieces that were cut to 7/8″ and finish at 3/8″. 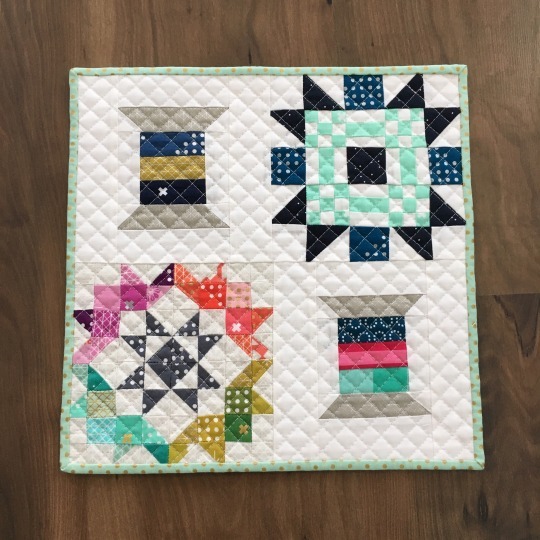 I love, love tiny piecing and this challenged me in new ways. Thanks for popping by. I’m in transition to a new web host and wordpress, but leaving a comment is possible if you click on the “disqus” logo directly below this post. Make sure you head to amyscreativeside.com to see everyone else’s amazing creations! In May of 2015, my husband’s oldest sister unexpectedly passed away. It was a really rough time for everyone. I was super pregnant with our son and my husband didn’t feel like he could leave me to go to her funeral in a different state. 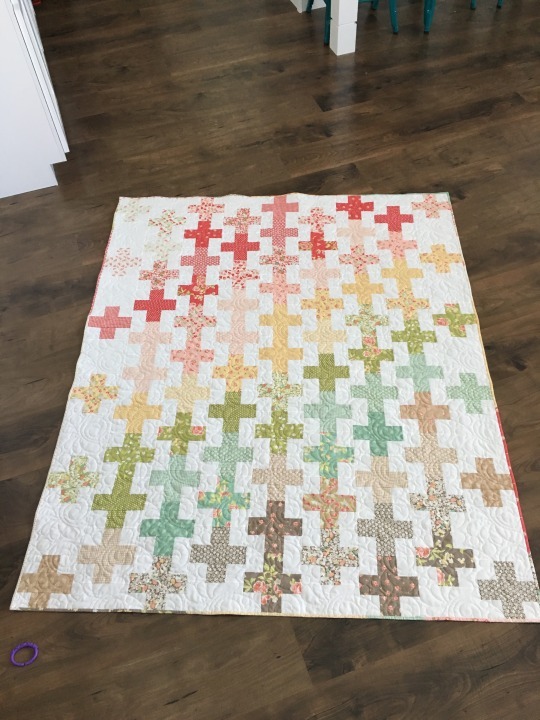 Later on last year, I just got the feeling that I wanted to make a quilt for all of our sisters (I have 2, my husband has 4) as well as my mother-in-law. It was a ton of work and it was hard to give all of them away as I had made things I loved so much. 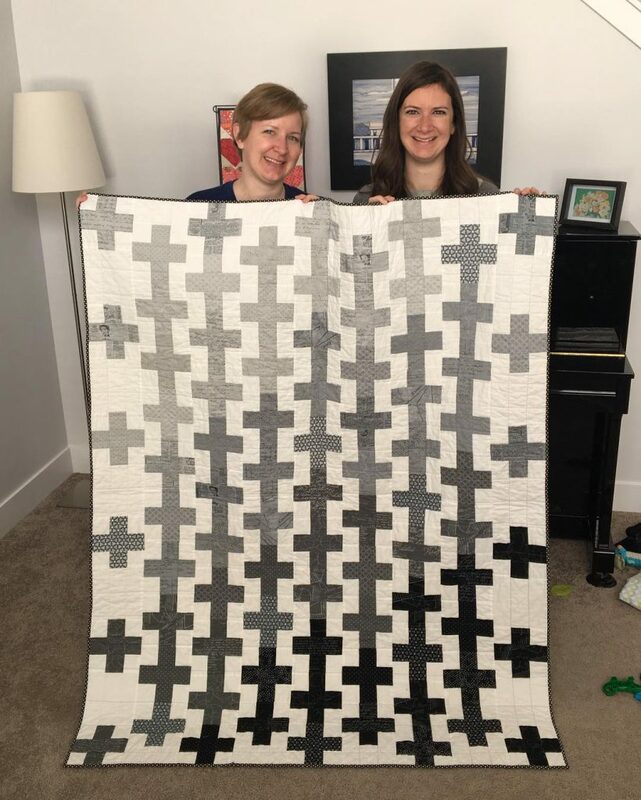 Last week when my husband and I were in Boston visiting one of his sisters, I delivered the very last sister quilt!!!! 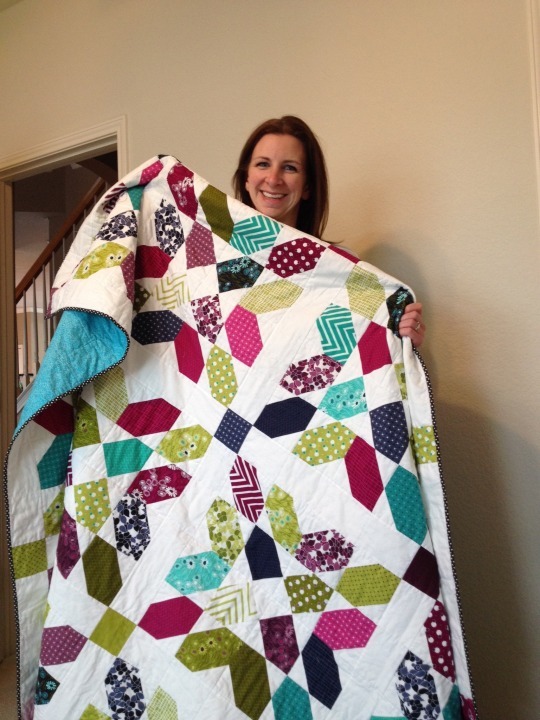 It was so fun having more of a purpose in making quilts over the last year. There have been many that I’ve made for me or just for fun, but I am glad each of our sisters have a big hug to wrap themselves up in from me. This was made for my youngest sister, who majored in english and has spent a great deal of her “adult” life editing. 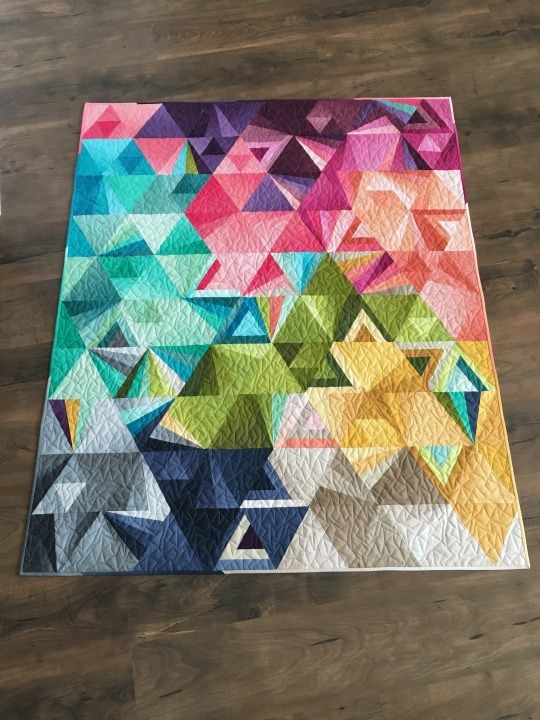 I used Zen Chic Modern Backgrounds Ink and made her a fun Flirty quilt by April Rosenthal. This was made for my oldest sister using V and Co. 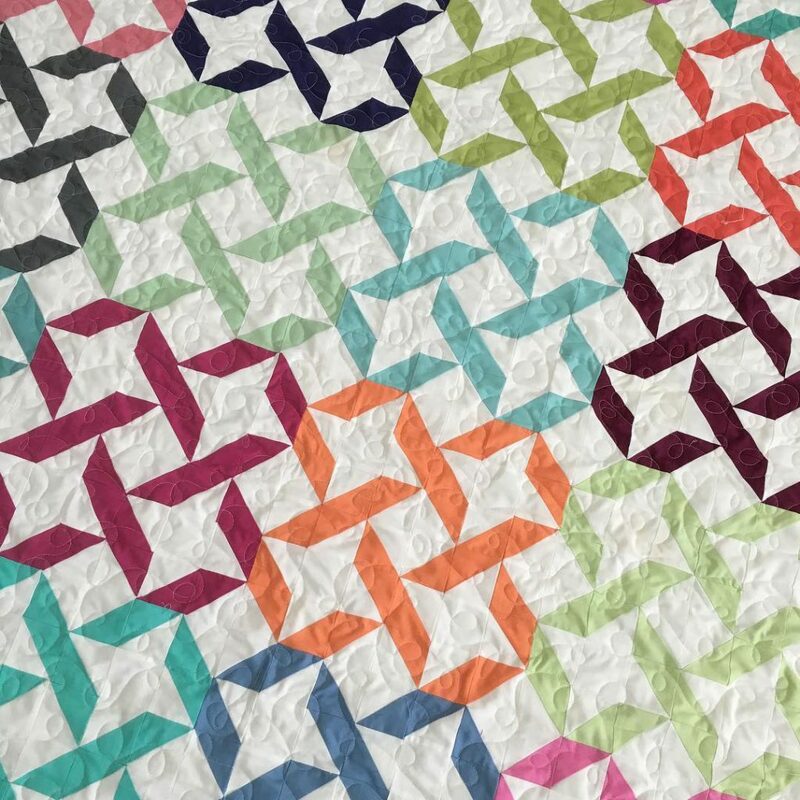 Simply Colorful and a Floret quilt pattern by Coriander Quilts. This was made for me initially, but one of my husband’s sisters loved it so much, I gave it to her. 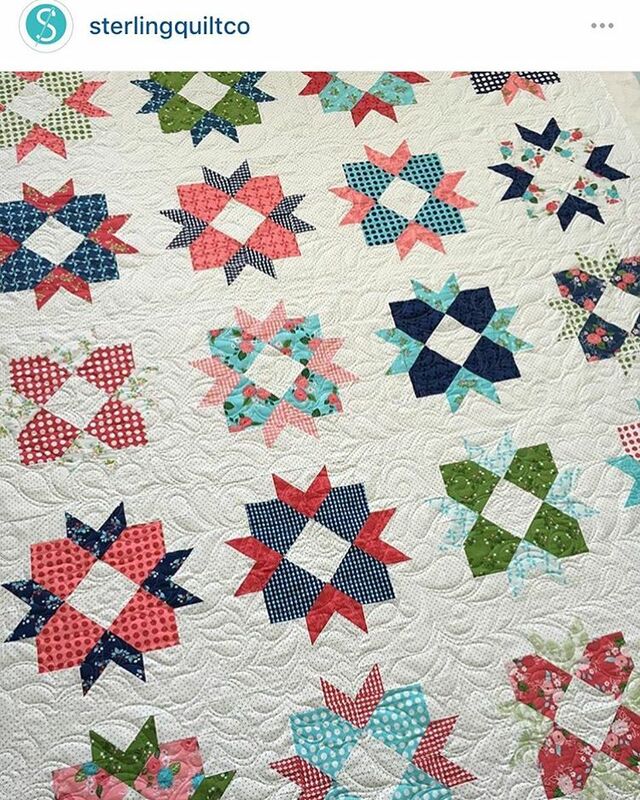 It’s a Clambake quilt by Thimbleblossoms made in Hello Darling. This was also the start of my gradient obsession. 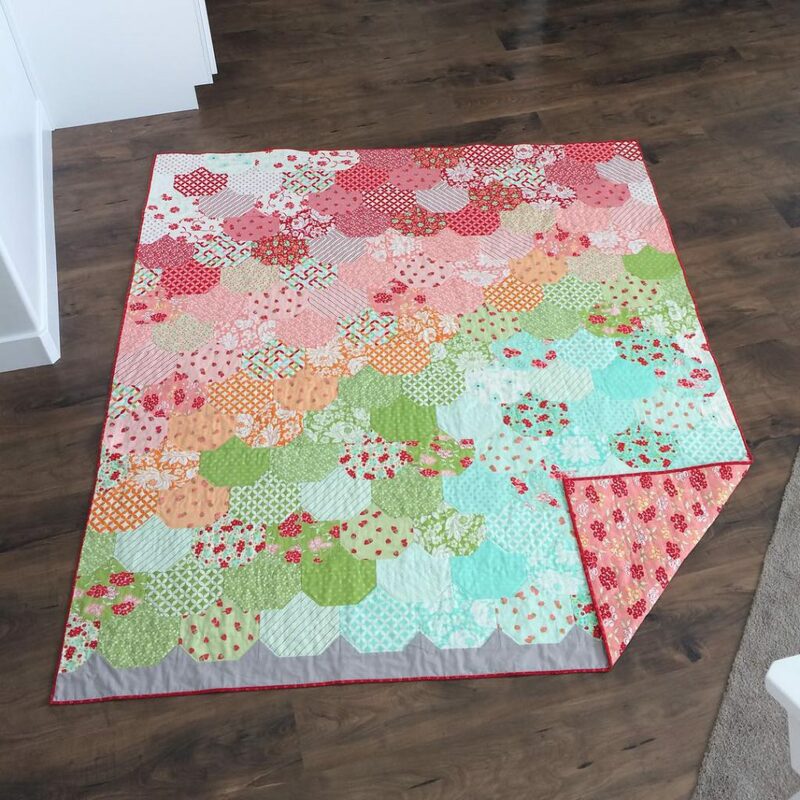 This was made for my husband’s sister who lives in Seattle using Gooseberry fabric and Cake Blossoms by Sterling Quilt co. This was made for one of my husband’s sisters who lives close by. I used Strawberry Fields Revisited and made another Flirty quilt by April Rosenthal. This is for my husband’s sister who lives in Boston. I used various Moda Bella solids from the V and Co and Kate Spain bundles and the Ruby quilt pattern by Gigi’s Thimble. Happy Friday! 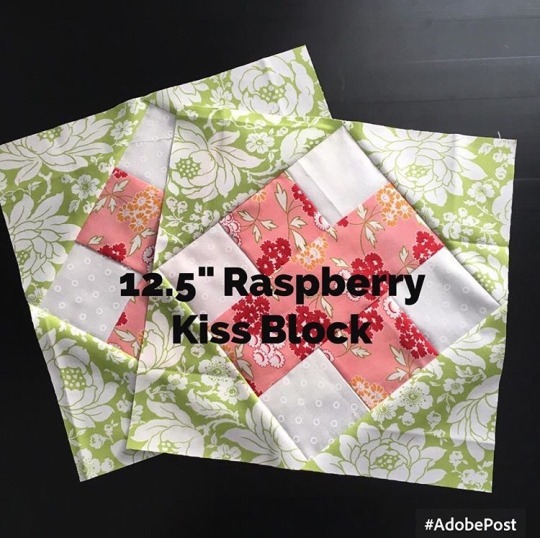 I thought I’d do something a little different today and instead of a 6″ #jensfillerblocks, I’d share the cutting instructions for a 12″ raspberry kiss block on my blog. I shared this on instagram months and months ago. 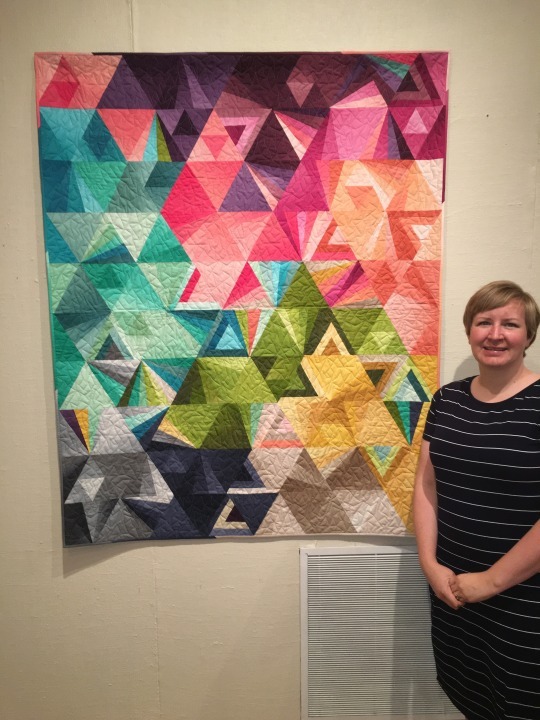 I had honestly forgotten about it until I assembled my B&C Sampler quilt today and had some that my lovely friend Jessica had sent me as a thank you for doing the quilty math for this. This was the beginning of doing quilty math to change the size of blocks, which then led to my filler blocks. Kind of a fun block for that reason. Sew together the middle “cross” section. You will need to cut 1/4″ from EACH edge to make end up with a 9″ square. Sew the green triangles onto the corners as instructed in the original raspberry kiss block.